2. So when I speak of the co-identity of Hearing and Hell, when I speak of Poetry’s infernal qualities, I am advocating for a sound-thrilled, politically electrified, subversive model of poetry, an oppositional aesthetics which undoes hierarchies and releases new and as-yet-un-recouperated political energies for the world and for Art. The Map of the Ear is the Map of Hell. 4. The auditory canal carries air (and sound) to the eardrum, which is the first Gate of Hell. Through this gate, like the Dead, sound leaves the aboveground world of air and light and enters a lightless world, an underground. There hang the bones—the anvil, the hammer, the stirrups– like the gates of horn and ivory Virgil associated with Aeneas’s passage into and out of Hell. Passing here, sound—song, sigh, shriek—is sea-changed into a vibration that shudders the fluids that run in sea-shell and semi-circular canals of the inner ear. Little hairs bend like reeds in these currents, triggering an electrical charge which courses up the tributaries of the auditory nerve, runs through the spongy fosse of the brain, and finally arrives at the delta of the auditory cortex. 5. In classical mythology the Underworld is comparably watery place, with six complicating rivers (Styx, of course, but also Archeron, Coctyus, Eridanos, Lethe, Phlegethon) each wrapped and tied like a maiden’s belt. These rivers designate floodzones, meadows and fields– Asphodel Meadow, the Elysian fields, furthest Tartarus—to each region its qualities, brainlike and occult. Hadean geography and auditory geography are so like each other that as I contemplated one I contemplated another. As I dwelt in one I dwelt in another. 6. Master poet Kim Hyesoon’s has also configured a co-identity for regions of Hell and regions of Hearing. In her essay ‘On Hearing’, translated by Don Mee Choi for the Tinfish pamphlet “Princess Abandoned”, Kim’s paradigmatic poet—the “Performer of the Abandoned”—sojourns in the Underworld and (painfully) realizes that she must be the medium not just for poetry but for the Dead, and not just for the Dead but for the Abandoned, the politically excluded—those who have suffered injustice—the unheard. This realization, translated by Choi as “hearing the feminine,” is the crucial experience for becoming a poet. the boundary between life and death is mashed inside the performance-space, a space which is established when the performer of the Abandoned hears the spirits of the dead who have met unjust deaths and then intermixes the spheres of life and death that belong to her and her regulars. Therefore, each book of poems by the woman-poet is a metonymic performance-space of the poet’s “hearing the femininity,” the Abandoned performance-ground. As with Blake’s Marriage of Heaven and Hell, this katabasis produces a text that communicates this infernal Hearing, in this case amplifying the voice of the feminine, the Abandoned. In Kim’s model, the book is a prosthesis for hearing these voices—a hearing aid. 7. Shamanic Japanese poet Hiromi Itō’s Kawara Arekusa— Wild Grass on the Riverbank— might also serve as such a ‘hearing aid’, as does the translation by Jeffrey Angles which amplifies the trace of English already present in Itō’s Japanese into audibility. Wild Grass follows a set of Japanese migrant children– who are also dead and are also wild grass on the riverbank—on a katabasis through the wasteland and the riverbank. Entangled in vines, conversing with corpses, they become paradigmatic migrants, excluded and unheimlich– uncanny, unhomed, unhomelike. But the grotesquerie and vulnerability of their migrancy is not entirely negative; the riverbank is the infernal, marginal strata in which these shade-children ‘live’ herbaciously, in a kind of cyclical posthumicity. This katabasis maps an alternative polity made up not just of humans or even of ‘creatures’ but also junk and criminal detritus and muddy water and (especially) summer grass—“so much summer grass”. These disparate entities form a co-body, the ‘everyone’, the Dead. They entail an infernal margin, a place of possibility and metamorphosis where Ovid’s locus amoenus and locus terribilis are collapsed—a Necropastoral. Elsewhere the poem informs us that this term “naturalized” refers to “plants that had come from somewhere else and settled down”—an invasive species, at home in a wasteland, which multiplies, and dies, and lives again. The speaker of this poem will get her wish in the poem’s ravished and ravishing conclusion; it is through voicing this lengthy description of the riverbank that the speaker becomes indistinguishable from it. 9. Yea, crucially, in the Infernal space of the riverbank, in the darkness of the Underworld, in the lightless precincts of the Abandoned, an unarticulated voice is articulated. It is the voice of the migrant-child, who desires something totally other than America requires its would-be-migrants to want. She voices her desire and in doing so claims it. 10. For the rivers of Hell water the roots of Subversion. From an Infernal root grows the shoots of Subversion. For Hearing is Hell-shaped—wrapped in rivers of Inversion. 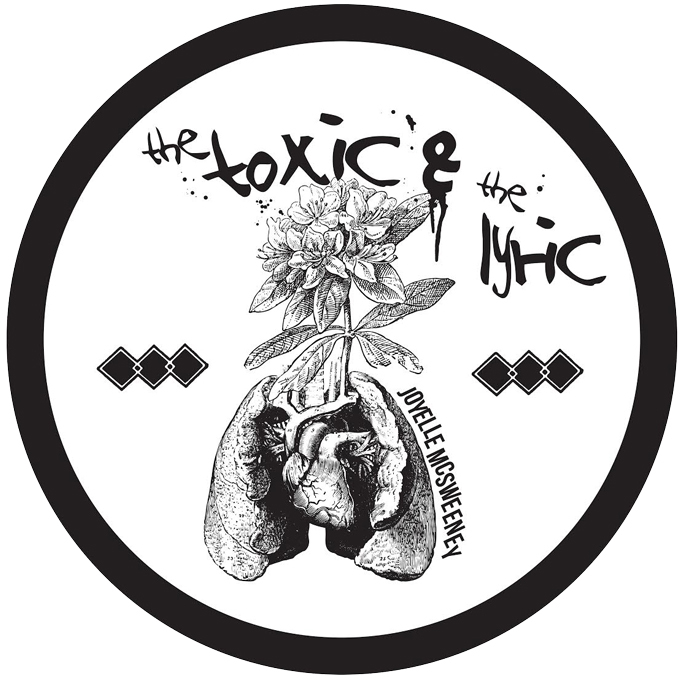 This is the second installment in Joyelle McSweeney’s ongoing column, The Toxic and the Lyric. For the first post, go here.